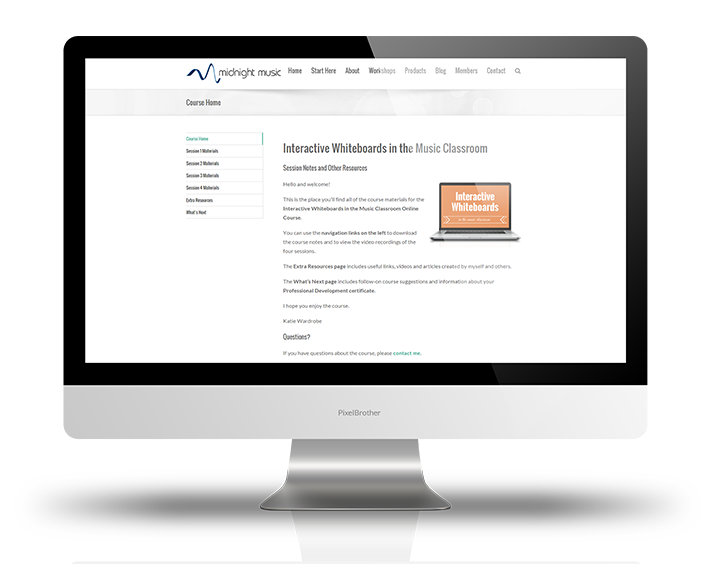 This course will explore ways in which you can take advantage of your IWB to enhance your delivery of music content to students by integrating audio, notation, and video. Learn how to adapt and rethink your current activities without having to re-write your curriculum. Discover why it’s not about finding a one-size-fits-all software program and why IWBs are not just for showing Youtube videos (!). What can the software do and why should you use it? The skills learnt can be adapted for any unit of work you might be doing with your students: 12 Bar Blues, Instruments of the Orchestra, Carnival of the Animals and more. Music teachers who would like to go beyond using the IWB as an expensive data projector! Elementary and secondary music teachers who would like to create their own adaptable and reusable resources. What type of IWB do I need for this course? 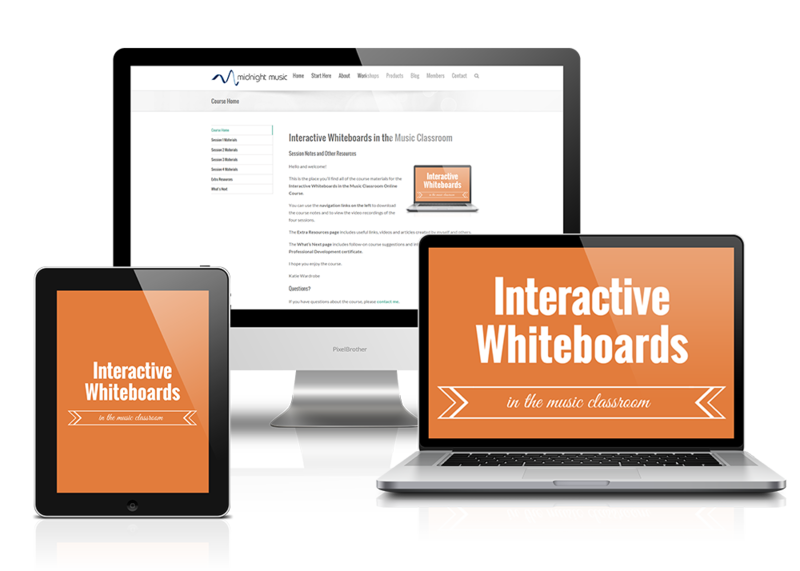 This course is designed for teachers with any type of interactive whiteboard. The software shown works on all types of boards. In the resource-creation sessions, I use the Notebook software (Smartboard), but the same techniques can be applied to other brands. The session notes provided are generic in nature so that they can be used with any brand of IWB software. Your laptop or desktop computer, your interactive whiteboard software (ie. Notebook software on Smartboard, Activinspire software on Promethean, Easiteach) and internet access for the course materials.